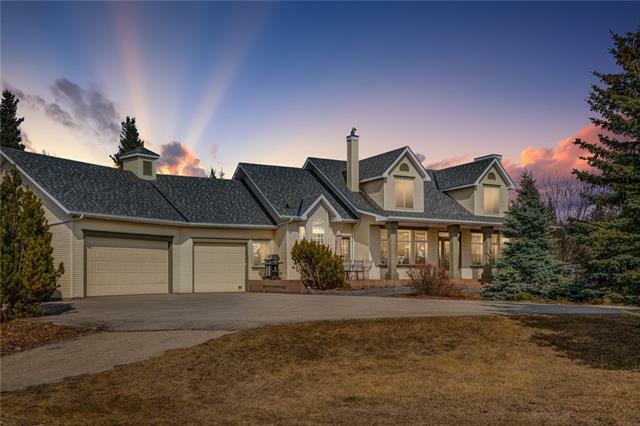 A very rare opportunity on 10 acres in Central Springbank with spectacular mountain views and an ideal equestrian set-up! This original owner, ranch style bungalow is thoughtfully designed and has been lovingly cared for. Beautiful reclaimed hardwood floors flow throughout the main floor plan and are accented with timber beams in the vaulted ceiling. Large windows frame exquisite mountain views with mature trees in the foreground. On the main are 2 bedrooms, with the master boasting a private deck and 4 pc. bath. The kitchen opens up to the family room, while the living room has a fireplace with local natural stone surround. There is an open loft perfect for a home office, or hobby space. The fully finished bsmt has an additional bedroom, bathroom, and recreation room. There is plenty of functional storage and utility space while enjoying the comfort of in-slab heat in the basement and triple garage. With new fencing, auto waterers and paddocks this is a horse lovers dream! Watch the video for more! 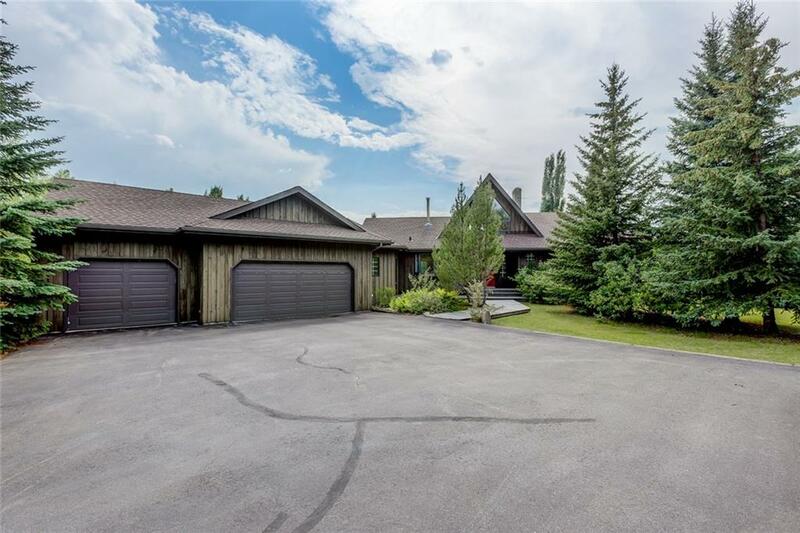 243173 Rge RD 31a, Rural Rocky View County, Alberta, MLS® C4198027 T3Z 3L5 is a Detached, 3 bedrooms, 4 bathrooms, approximately 2,198 Sq. Ft. Listing price 2,390,000.00. This property was built in 1993.